Speech Day is always a busy day at Holme Grange, so many people to celebrate – so little time! We kicked off the day with Pre-Prep. Little Grange, Reception, Year 1 and Year 2 were so well behaved and entertained their parents, grandparents and visitors. From bell ringers, choirs, solos, dancers and poetry readings to name but a few. Many children received prizes for academic achievement, progress, gracious and courteous conduct, reading, sport, art, music, and the learning habits. As always the announcement of the special Head teacher Awards were eagerly awaited. A change of venue for Prep to accommodate the large number of pupils and guests but the Sports Hall did look magnificent. 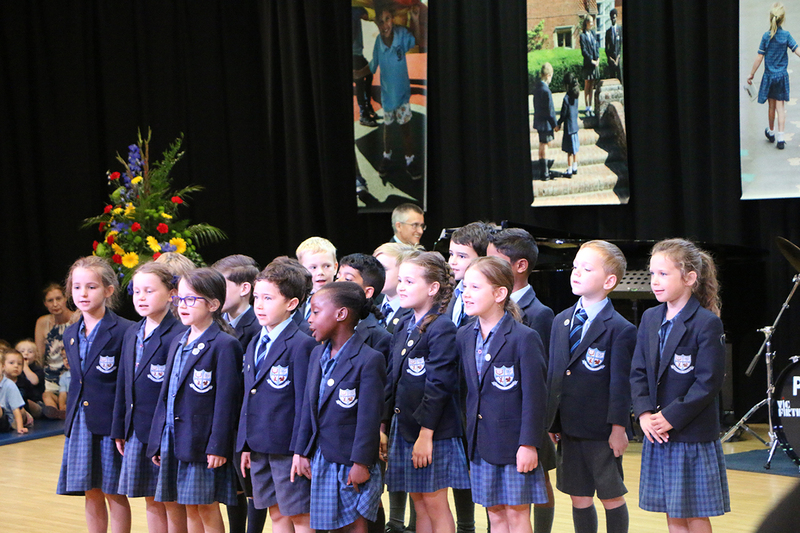 Years 3, 4, 5 and 6 celebrated their achievements with out guest speaker Bill Lucas. He is the only Professor of Learning in the country and has been working with the school for a number of years. He shared with parents and pupils some funny anecdotes on learning in the modern age. Much talent was also on display with orchestra, bell ringing, readings, solos and dancing. After families had shared end of term picnics at lunch we resumed in the Sports Hall for Eaton Grange Speech Day. 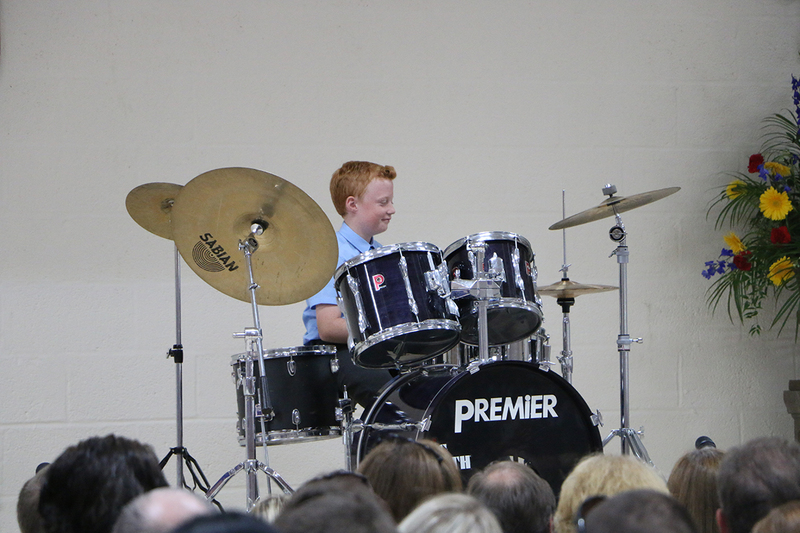 Years 7, 8, 9, 10 and 11 showcased their talent and celebrated so much achievement throughout the year. Our guest speaker Bill Lucas shared some of his experience and knowledge on being and raising teenagers, all of the audience related to his descriptions of teenage behaviour and were fascinated to hear that the behaviour was all down to brain development. Mrs Robinson shone with pride the whole day as she celebrated with each group of pupils their successes and achievements. She also gave each family a copy of the Development Booklet that outlined the school development plans for the next few years. She informed parents of the new school branding and was excited to launch the new school website. As parents and pupils departed for their summer break the PAA had treated the staff to a band for their end of year BBQ. This really was a lovely way to end the academic year and a lovely way to thank the staff for all the hard work they had put into the year.